Hey guys, it’s Tillian and it’s TOTW predictions! TOTW 22. 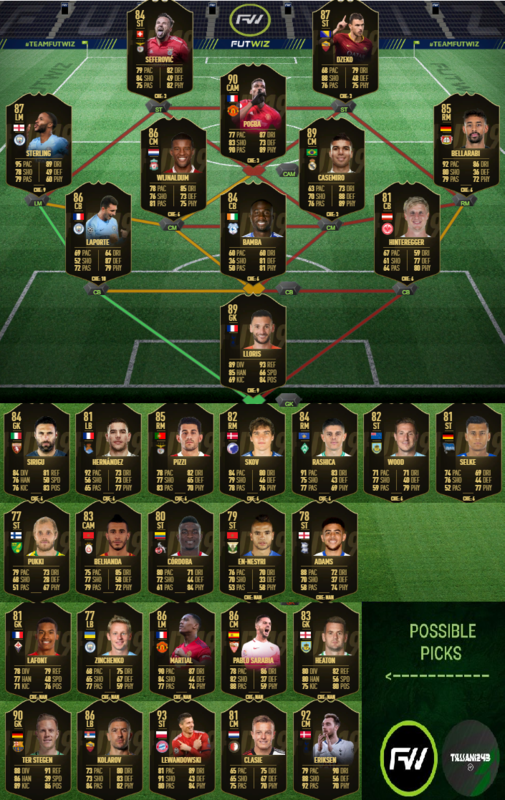 When I watched games on the weekend – I thought to myself: Oh, this TOTW is gonna be good, let me get Gold 2 just for that reason, but after I had a look – I though: Ughh, it could’ve been much better. Highlights of this TOTW are: Pogba, Bellarabi, Lloris, Wijnaldum and Casemiro. Apart from those – TOTW ain’t that good. Benfica won 10-0, so I must include at least 2 players. Aguero isn’t available for selection, sadly. Would make TOTW a little bit better. Aymeric Laporte included for a game vs Everton. Good luck with your rewards and as always try to have some fun!